Leading companies that set the trends of the industry such as Hammer Jack, Twigy, United Colors of Benetton, Cabani, Lapinta, Ridge, Camuzares, Genio, İlvi, Bulldozer, Topbaş United, Sigotto Prend, Secret Zone, Ferudun Kundura, Poletto, Sofia Baldi, Molyer; Vicino and Sherlockson will showcase their products in the exhibition organized by Pozitif Fairs, a CNR Holding company. Visit AYMOD, the most comprehensive meeting platform of the industry, to see the latest models and trends in the industry, compare products and develop new business relationships with the participants. Over 1,000 brands shaping the footwear and leather goods industry are counting down towards AYMOD International Footwear Fashion Exhibition to take place at CNR Expo, Istanbul. 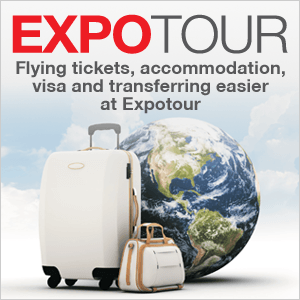 The exhibition will host the latest trends whilst significantly contributing to the industry in reaching its 2019 export targets. CNR Holding has mobilized the Global Market Intelligence System implemented with a total investment of 11 million dollars for AYMOD. 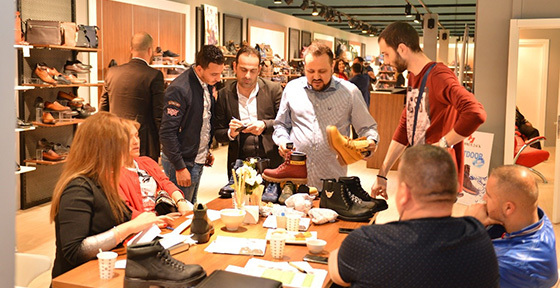 With this system named BIA, footwear buyers from all over the world, especially those who have not yet entered the Turkey market will be invited to AYMOD and based on their needs, meetings with the Turkish footwear manufacturers will be arranged. Thanks to the vigorous work of Global Market Intelligence team of 240 professionals fluent in four different languages, AYMOD will see at least a 50 percent increase, especially in foreign buyer numbers. Organized by Pozitif Fairs, a CNR Holding company, AYMOD will be open between April 03-06, 2019. Aymod hosted over 600 buying committees! AYMOD - Istanbul International Footwear Fashion Fair, which is the second largest footwear exhibition worldwide, hosted over 600 buying committees. Aymod Premium Hall 4 was designed especially for the exhibitors of the 60th AYMOD, where foreign buyers came together with exhibitors. CNR Holding endeavored to market to buying committees, bringing 600 people from African countries, Germany, Azerbaijan, Albania, Belarus, Beirut, Armenia, Dubai, France, Croatia, Iraq, Iran, Israel, Italy, Kazakhstan, Kirghizistan, Pakistan, Pekin, Romania, Russia, and Ukraine. More than a 1000 brands from over 400 companies displayed 2019-2020 Spring/Summer collections. 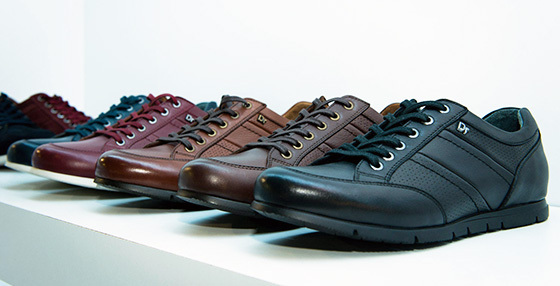 AYMOD, the biggest meeting of the Turkish footwear industry, is organized twice a year, helping increase employment rates. AYMOD - Istanbul International Footwear Fashion Fair, which is the largest exhibition in its field in Turkey, and the second worldwide, was organized by Pozitif Trade fairs, a subsidiary of CNR Holding and Footwear Industrialists Association of Turkey (TASD) in collaboration with TASEV (Turkish Footwear Industry Sector Research, Development, and Education Foundation) and supported by KOSGEB. AYMOD Footwear Exhibition, showcasing the newest products and services of the footwear industry, ended on October 6. The fair was organized with the aim of introducing new products to the visitors and providing effective marketing for the exhibitor companies to increase their trade volume. International brands, known for shaping the footwear and leathercraft fashion, exhibit at AYMOD at 60 thousand sqm. Zara and Trendyol participated for the first time this year along with other exhibiting brands such as: Hammer Jack, Tergan, Twigy, Cabani, Ricardo Colli, MCP, Scooter, Conteyner, Euromar, Lapinta, Devran, İnuovo Lota, Ridge, İlvi, Marcomen, Bulldozer, Darkwood, Topbaş United, Ferudun Kundura, Poletto, Dunlop. Abant İzzet Baysal University Gerede Vocational School welcomed visitors at the Living Shoes Museum in the 60th AYMOD, for the first time ever. The black rubber shoes of Eren Bülbül, who lost his life at 15, along with the shoes of Ferdi Özbeğen, Mehmet Ali Birand, Nilüfer, and Vatan Şaşmaz, were also displayed. One of the most interesting parts of the exhibition were the 3D printed shoes, the first in the world. Academician Suhandan Özay Demirkan, devoted to the education of footwear design, displayed his collection “Ottoman Dreams” in AYMOD. The bridal shoe made of paper was also a part of the exhibition. Demirkan displayed a collection of shoes made of paper. The artist emphasized the mastery and durability of artisanal handicraft. Exhibitors and foreign visitors are coming together at Aymod Premium Hall 4, designed specifically for the exhibitors. 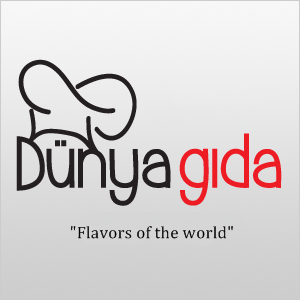 Special foods from around the world will be served in the Premium Hall 4, where companies such as Otantik, AlMe Ayakkabı, Alta Gracia, Zirve, Maia Shoes, Icanvass – Önder, Carlovento, Baver, Berenni, Crisso, Blue Stone, Bordolli, Chaos, White World, Mondo, Bianco, Bianco Mando, Gentleman, Nemca Shoes, Çelik Sandalet, Danacı Grup- Diensi Ayakkabı, Efekti, Trust Shoes, Stone Blue, Heya Shoes, Modelle, Mario Muzi - Donna Ricco, Mfs Ayakkabı, Modaqueen, Modelle, Green Foot, Mym Shoes- Mym Exclusıve, Özdede – Dekosa, Pehlivan Shoes, Poletto, Sofia Baldi, Rem Ayakkabı, Ronya - Maria Rossi, Missliza, Slonch Shoes, Tek Yıldız, Stella, Wanetti, Lescarpe, Tigra - Carlo Valentin will have B2B meetings and establish new business relationship. The latest trends were exhibited at AYMOD! The peerless footwear exhibition of Turkey AYMOD - Istanbul International Footwear Fashion Exhibition took place between the dates of October 3-6 at CNR Expo. CNR Holding set up a special team of professionals to bring a record-breaking number of visitors to the exhibition which provides a significant contribution by increasing the export capacity of the Turkish footwear industry. 60 professionals from the renewed data, social media, digital marketing, and international marketing departments worked tirelessly to develop relations between the exhibitor trade companies besides increasing visitor numbers. One of the world's two most significant footwear fashion exhibitions, the 60th AYMOD is organized by CNR Holding company Positive Fairs in cooperation with Footwear Industrialists Association of Turkey (TASD) and with the support of KOSGEB. Istanbul International Footwear Fashion Fair (AYMOD), which contributes to the development of the Turkish shoemaker and leathercraft industry, started today. The exhibition, held for the 60th time, ended on October 6. The fair was organized by Pozitif Fuarcılık, a company within CNR Holding, and Footwear Industrialists Association of Turkey (TASD) in collaboration with TASEV (Turkish Footwear Industry Sector Research, Development, and Education Foundation) and supported by KOSGEB. Hosted buyer delegations from 52 countries will be hosted in cooperation with Istanbul Exporters’ Association through an intensive and tailor-made marketing campaign promoting your participation prior to and during the event will generate business leads and expand your trade volume. 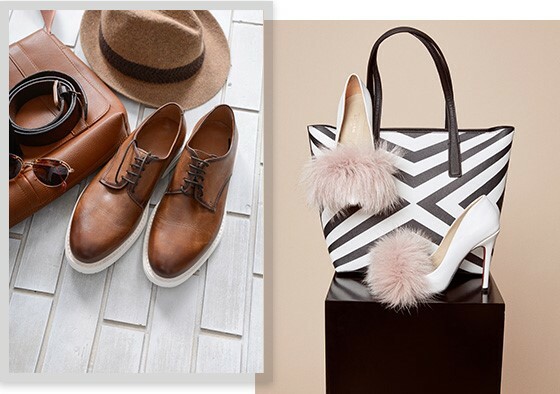 Turkey’s biggest footwear exhibition İstanbul International Footwear Fashion Fair AYMOD, which is the second biggest worldwide, will start on April 4-7 at CNR EXPO Yeşilköy. The women shoemakers of the Yeşilyuva, a village of Acıpayam town where people have been making shoes for 400 years in Denizli, will be present at the International Footwear Fashion Fair. During the event, Women of Yeşilyuva will make the traditionally handmade shoes in the Yoruk tent. At the event, another tent will be sent up to explain the modern automation process where the robotic automation of the footwear industry will be demonstrated with barcovision and video shows. 20 thousand domestic and foreign visitors are expected at the International Footwear Fashion Fair (AYMOD) will take place on April 4-7 at CNR EXPO Yeşilköy. The fair will contribute greatly to the 2023 export target of the industry with the participation of the leading companies such as Hammer Jack, Twigy, Cabani, Ricardo Colli, Lapinta, Devran, İnuovo Lota, Ridge, İlvi, Marcomen, Bulldozer, Darkwood, Topbaş United, Ferudun Kundura, Poletto, Sofia Baldi, Dunlop, Kemal Tanca, Molyer and Sherlockson. 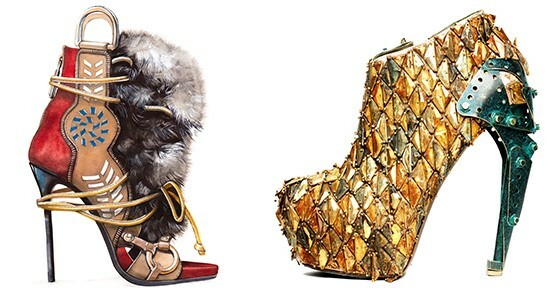 The latest footwear trends at AYMOD! AYMOD is Turkey's and Eurasia's leading & influential trade exhibition for footwear and leather goods industry organized in Turkey's largest exhibition in an area of 60.000 sqm with above 500 exhibiting companies and over 1000 brands. Among the 500 exhibiting companies, International exhibitors are mainly from Italy, Spain, Portugal, France, Germany, Brazil, UK, USA, Africa Mexico, Thailand, Greece, Romania, India, Indonesia, Macedonia and Turkey participated 57th AYMOD where the Fall/Winter collections showcased. 16.922 professionals from 52 countries have visited 57th AYMOD! Aymod presents the most lucrative trade platform not only for Turkish Market, thanks to the great interest from CIS Countries, Turkish Republics besides Middle East countries such as Iran, Iraq, UAE, Saudi Arabia, Qatar, Lebanon, Algeria, Libia, Jordan, Israel, Tunisia, AYMOD also offers the most sustainable fair which combines every market in Eurasia Region!!! Let AYMOD become your crossing point to new prospects and possibilities. As a visa free country for professionals from Arab & Russian regions, Turkey and AYMOD constitutes the most preferred trade platform for footwear importers. A combination of unique services and preeminent location, AYMOD welcomes distinct purchasing delegations as part of Hosted Buyer Programmes. Supported by Turkish Ministry of Economy HOSTED BUYER PROGRAM embracing more than 55 targeted countries, creates the unique opportunity for professional buyers to preview the 2018 Spring/Summer collections whilst, at the same time, having the chance to integrate purchases for 2019 Fall/Winter. AYMOD is a not-to-be-missed engagement for all those involved in the upper bracket of the footwear market in Turkey and Eurasia region. The event has progressively acquired ever more importance and today is considered an incontestable landmark for the sector, nationally and internationally. AYMOD is Turkey's and Eurasia's leading & influential trade exhibition dedicated to the business sector volume of footwear and leather goods industry organized in Turkey's largest exhibition complex at international level in a total area of 60.000 m2 with above500 exhibiting companies and over 1000 brands, a sign of the increasing importance of AYMOD as a commercial platform of reference for the Middle East, Eastern Europe, Balkans and CIS Countries and African Countries. 58th AYMOD 2017, Istanbul International Footwear Fashion Fair, will host trade professionals from 04-07 October to present the new collections for Spring/Summer 2017. The most prestigious fair for medium-high and high-end footwear will take place at the CNR EXPO FAIRGROUND. AYMOD prepares to set up the most comprehensive showcase of Comfort Shoes in it 58th Edition. With the participation of especially European Exhibitors mainly from Portugal, Italy and Greece, the companies creates the most distinct atmosphere of new collections & designs in Comfy Shoes field for key accounts, purchasing delegations from Gulf Region, Russia and CIS Countries and Africa. AYMOD offers a new division related exclusively to International Designers & Stylists. This section is positioned in the entrances of main exhibition halls in purpose of creating the highest interaction between exhibitors & designers & visitors triangle. Pre-fitted open stands measures around 6 sqm2, adjusted particularly for distinct collections and to provide the maximum visibility for participants. The total participation cost for 6 sqm2 is 1050 €, a great opportunity that AYMOD presents to international designers. 58th AYMOD Exhibition hosted 13 thousand professional visitors! More than 13 thousand local and foreign visitors were hosted in AYMOD Exhibition showcasing numerous products from pumps to ballerina shoes, sneakers to boots and bags. Handmade bags produced by 150 housewives without using machines and chemicals drew great attention in the exhibition; these bags are very popular in the Japanese market. CNR AYMOD International Footwear Fashion Exhibition, a global meeting point of the footwear sector was held on 04-07 October 2017 in CNR EXPO Yesilkoy. Products from classic items to modern items, ballerina shoes to boots, bags, suitcases, and belts appealing to all segments received great interest in AYMOD where spring/summer footwear and bag collections of the next year were showcased. AYMOD Exhibition, the world’s second-biggest exhibition of this class that was held for 58th time, hosted over 13 thousand local and foreign visitors in total among which 1 thousand 478 were foreigners. AYMOD Exhibition was held in an area of 60 thousand square meters hosting buyers from countries such as Russia, France, Germany, United Kingdom, Ukraine, Iraq, Saudi Arabia, UAE, Algeria, Libya, Azerbaijan, Turkmenistan, Bulgaria, and Romania. Handmade bags produced by 150 housewives drew great attention in the exhibition; these bags are very popular in the Japanese market. Handmade bags produced without using machines and chemicals open up the doors of business world before women having difficulties in starting a career. Another footwear design attracting attention in this year’s exhibition was denim footwear. Denim shoes popular in Germany, Poland and Belgium are expected to be one of the trends in Turkey in the next year. AYMOD Exhibition is organized by Pozitif Fuarcilik-a subsidiary of CNR Holding- with the support of Turkish Footwear Industrialists Association (TASD), Turkish Footwear Sector Research Development Education Foundation (TASEV), Turkish Footwear Producers’ Federation (TUAF), Istanbul Chamber of Footwear Artisans and Craftsmen (IASEO) and KOSGEB. Turkey's and Eurasia's leading & influential trade exhibition!.. AYMOD is Turkey's and Eurasia's leading & influential trade exhibition dedicated to the business sector volume of footwear and leather goods industry organized in Turkey's largest exhibition complex at international level in a total area of 60.000 sqm with above 500 exhibiting companies and over 1000 brands, a sign of the increasing importance of AYMOD as a commercial platform of reference for the Middle East, Eastern Europe, Balkans and CIS Countries and African Countries. We are organizing AYMOD, the global display of the footwear industry sector in our country for the 56th time. The fair, realized twice a year, arrange the meeting of the footwear industry with the national and global buyers. It is heart warming for us to see how much our common work for the success of the fair with our partners TASD and TASEV supports the shoe supplier industry. 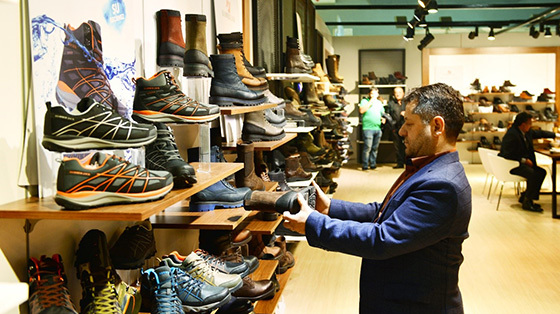 The total imports of footwear of Turkey has risen to the level of 36.025.987 pairs with an increase of 15% after implementation of safeguard measure and the imported footwear takes a share of 31% of the domestic market. With the exhibitors especially from Italy, Spain, Portugal, France, Germany, Brazil, England, USA, Mexico, Thailand, Portugal,Greece, Romania, India,Iran, Indonesia, Macedonia, Russia, Ukraine you can stay d with the latest fashion trends and designs in fashion world. Our aim is to display the development of design and technology in this field to whole word at AYMOD, the milestone of the footwear sector. Our country with its location, where all trade roads are crossing, has to assert the policies for increasing the business volume of the footwear industryby a better using of this advantage. The innovations at this track will effect as a leverage in the sector. We believe that AYMOD, will be the most efficient platform for exhibitors and visitors to step into new markets and to establish a bridge for cooperation the countries. Don't be late to complete your online registration, to visit AYMOD. More than 1000 footwear brands united under the same roof at CNR EXPO! AYMOD International Footwear Fashion Exhibition was held for the 61st time this year at CNR EXPO İstanbul with the participation of more than 1.000 brands that shape the footwear and leather accessories industry. More than 450 international buyers invited within the scope of the Buyer Delegation B2B Matchmaking Program came together with exhibitors at AYMOD where thousands of classical, sporty, handmade new footwear models are displayed. Thousands of domestic and international professional buyers visited the exhibition from many countries including Russia, Italy, Israel, the United Arab Emirates, Kazakhstan, Poland, Turkmenistan, Uzbekistan, Jordan, Hungary, the Czech Republic, Montenegro, and Lebanon. AYMOD, in its field, is the largest trade fair in Turkey and the second largest in the world. The exhibition organized by CNR Holding in collaboration with the Footwear Industrialists Association of Turkey (TASD), was held on a 60 thousand square meters area. The leading 455 footwear manufacturing companies including Nursace, Inuovo Lota, Hammer Jack, Twigy, United Colors of Benetton, Cabani, Lapinta, Ridge, Camuzares, Genio, İlvi, Bulldozer, Topbaş United, Sigotto Prend, Secret Zone, Ferudun Kundura, Poletto, Sofia Baldi, Molyer; Vicino and Sherlockson exhibited their newest models at AYMOD. The models of the upcoming season were presented to the liking of professional buyers.